Maybe you're a person who's been playing for a while. You've likely got a nice intermediate level electric guitar. You can definitely play a bit, and you plan to keep at it for years to come. Really, you can't imagine not playing guitar, even if it is just in your own home. It is ever so relaxing. It could be you're serious about it, this isn't just something you plan to do for fun. You play really well, and you know you should get paying jobs at it soon. Maybe you already get paid to perform music, and it is time to upgrade the equipment to something you can be proud of forever. There are guitarists out there who are super monogamous with their instrument. It's like they think the wood and stringed thing is their lover, and they mate for life. Willie Nelson is someone like that. Most guitarists are quite happy to fool around. They want more than one good guitar. Some want as many as possible. In the world we live in our choices are often constrained by how much money we have to spend. If you're dead set on buying an American made classic electric guitar, and you have about fifteen hundred dollars at the max to spend, do you go for a Gibson Les Paul Studio, or one of the new Fender Professional guitars you've been hearing so much about? You couldn't possibly go wrong with either of these guitars. Fender and Gibson are the big two manufacturers of electric guitars in the USA. Anywhere in the world where electric guitars are played, there are players with Gibson or Fender. Then there are those who desire to own such fine things. The Telecaster debuted for sale under the name of 'Broadcaster,' in 1950. 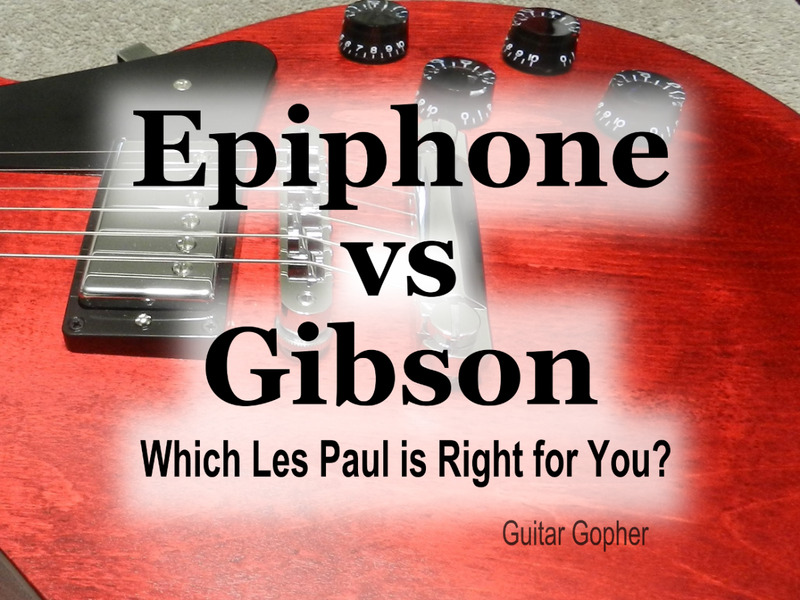 Two years later, Gibson would introduce its Les Paul. In the years which have followed there have been near countless versions of both, with all manner of various manufacture specifications. Fast forward to the year 2017. Here we are, and we're living in the golden age of consumerism. Our Telecaster and our Les Paul are just as valid, useful, and desirable as ever. We've got roughly fifteen hundred dollars to spend towards the electric guitar to last us the rest of our lives, and we know we want either a Tele or a Paul. We want the very most guitar we can get for our money, and we want made in the USA. So for this page we will discuss the brand spanking new, hot off the production line Fender American Professional Telecaster Deluxe HH Shawbucker. And we will compare it to the Gibson Les Paul Studio T. There are several different versions of the Les Paul Studio, but the 'T,' or traditional version is the one which falls within our price range. I'm not interested in a better or worse take on these fine instruments. I love both of them. I want to go over their features and hopefully give useful information for someone to make decisions for themselves. What is the Fender American Professional series? The easy answer is these guitars are the replacements for the Fender American Standard line of guitars. The American Standard line started in 1987, and the people at Fender decided to change things up, and offer something new. There are some key changes to this new flagship line, and they are found within the pickups, necks, nuts, frets, bridges, and cases. There are also some new colors offered. All changes represent what Fender believes will be accepted as improvements. 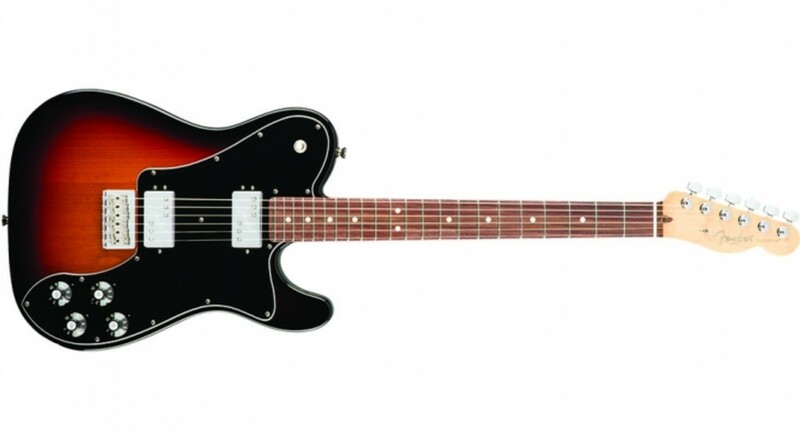 I'll go over all of these changes, but this model Telecaster is also entirely new. The new Fender bridges are only for guitars with tremolo, so there is nothing new about the bridge on this guitar. The neck, however, is very new. It is of a “Deep C” neck profile, which falls perfectly in between the flat, slim feel of a modern C profile and chunkier feel of a vintage U profile. The new frets on that neck are the narrow and tall variety we have heard so much about. Most people do love them already, and the reason is they facilitate string bending, making it more doable and with less effort expended. The American Professional line of Fender guitars all feature brand new pickups created by Tim Shaw. 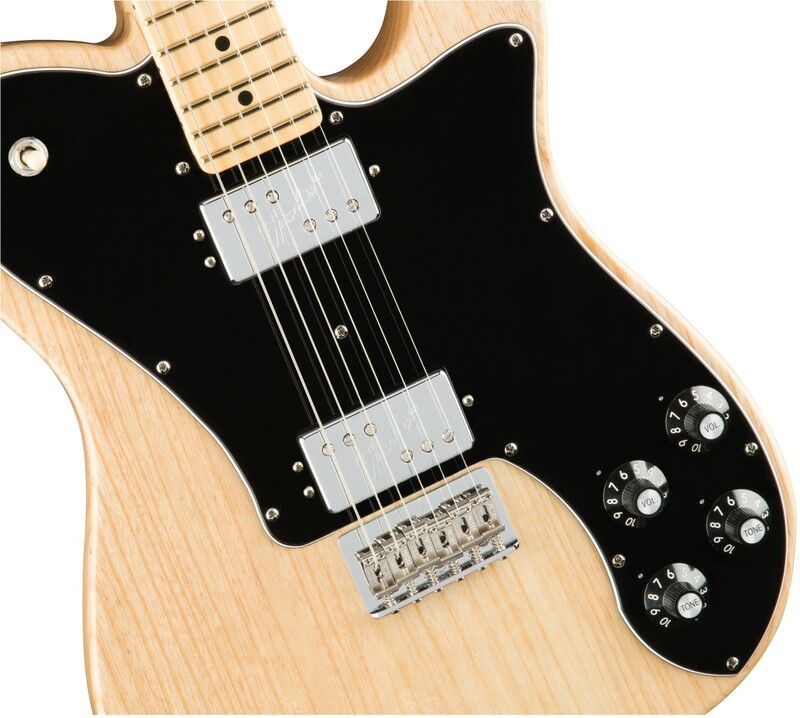 The American Pro Tele here, of course, features the well known Shawbucker T1 and T2 set. The T2 is the hotter of the two pups, and so it is found in the bridge position. The new Treble-Bleed circuitry has been included in the design, which works to make sure there’s no tone loss at lower volumes and your higher frequencies are preserved. This is ideal for those who use their volume pots for dynamics rather than pedals. Fender America Pro guitars now feature genuine bone nuts instead of synthetic bone nuts. Yes, these are not vegan guitars. Well, bone is always a superior material when one desires volume, sustaine, and clarity in the way an American professional musician should. Did I mention the new colours? The new Sonic Gray, Mystic Seafoam and Antique Olive colour schemes look stunning. There are, of course, many of the older and more well known Fender colors still available. Instead of a moulded case, you get an Elite Moulded Case which is stronger, sturdier and safer for your guitar overall, making each option a perfect travel companion for touring musicians. Regardless of whether or not you take your guitar out to clubs to play, you won't be able to help but to be pleased with a sturdier case for your close stringed friend. The Les Paul Studio T is simply a better guitar than the early 1950s LPs. No don't burn me as a witch, it is true. These guitars have all that made the Lesters from the early years great, and the best of the modern upgrades to go along with it. And it is for sale at a price a working person can save up for. Mahogany bodies and carved maple tops help to create tonal magic. God's gift to rock and roll. It is modern weight relief, through chambering the bodies, however, which make these lightweight enough to stand and play for an hour or more without one throwing out the old back. You could even jump around like Pete Townshend, strut and shimmy like Jimmy Page, but be sure you thank modern building techniques. The neck is mahogany, the fretboard is rosewood. All the classic build elements of a Les Paul are here. The only thing that prevents these from being standards are some omitted binding. Binding takes a lot of man hours, man hours cost a lot of money. These guitars are available in three finishes. They all look terrific. 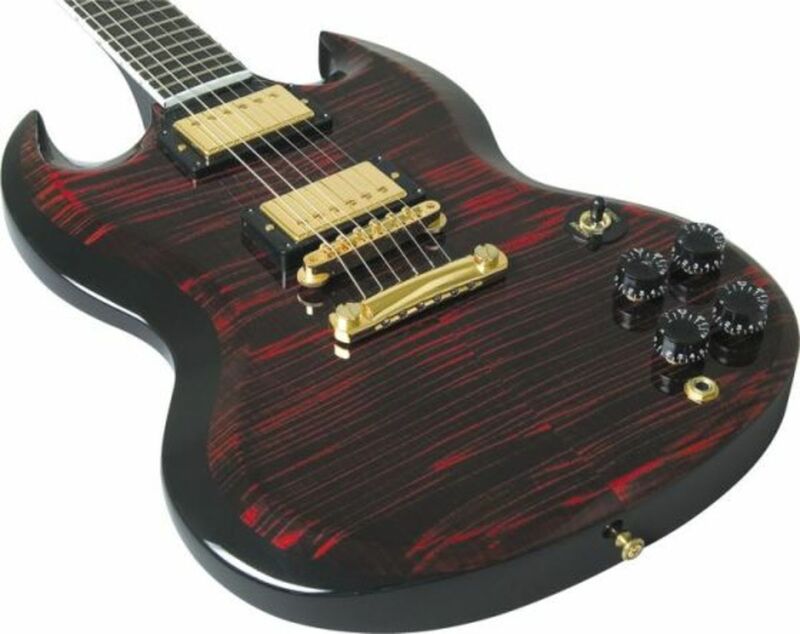 I'm showing black cherry burst, but there are also ebony and wine red available at the same exact price. They all come in a classic brown hard shell case. The case is beautiful, like a piece of leather furniture, and provides great protection. Our pickups are the tried and true 490R and 498T combo set. Gibson's Seth Lover invented the humbucking 'PAF' style pickups in 1957. This set is another of the same mold, and the 490R is terrific for your Black Sabbath sludge. The 498T will cut through your mix with a dirty raggedness heard millions of times on classic rock radios around the world. Then there is coil tapping available. Each pickup can be split into single coil. So this guitar can produce a bevy of tonal tornadoes, surely one of them will twist your soul on any given day. You can hit a note from single coil or humbucker settings, go grab a coffee down the street, come back home, and the note is sustaining. I mean without setting your amp's volume to 'eleven' even. How in the world could someone choose between these two outstanding guitars? It is an admittedly tough decision. It's why I created this page. One of the biggest differences, one of the most deciding things hasn't been discussed yet, and that is the length of scale. 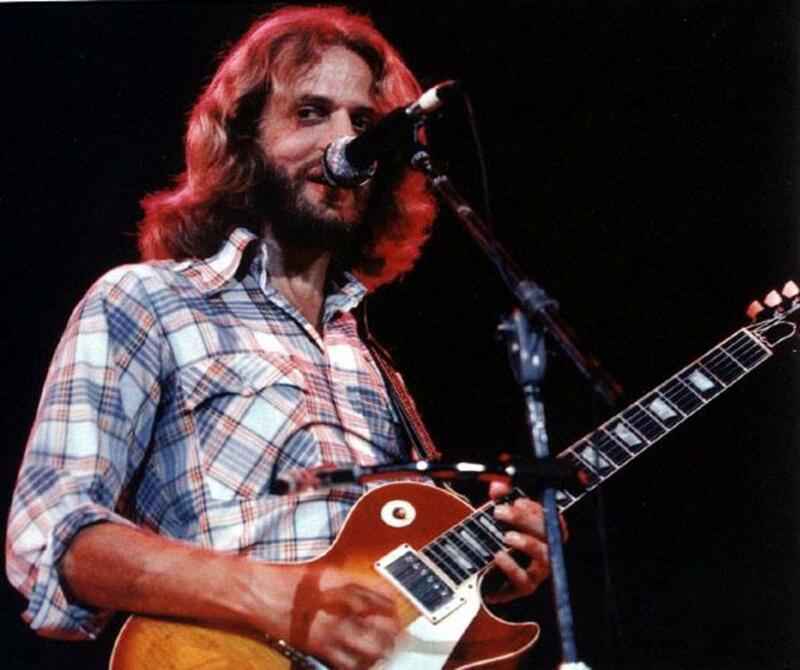 Gibson's Les Paul has a shorter scale length. It always has. Fender, of course, is longer. The difference is between 24.75" and Fender's 25.50". It's not much in length, but it makes a difference. What is scale length, anyway? A guitar's scale length is calculated by measuring the distance from the front edge of the nut, where it butts against the end of the fingerboard, to the center of the 12th (octave) fret, then doubling that measurement. The scale length absolutely affects the tonality of a guitar. I mean the way the thing sounds. Besides the influence on tone scale length naturally has, what else? Scale length influences how tight the strings are in standard tuning. With a shorter Gibson scale length, the strings aren't so tight as they are in standard tuning as they would be on a typical Fender, like the American Pro Tele Deluxe HH Shawbucker. 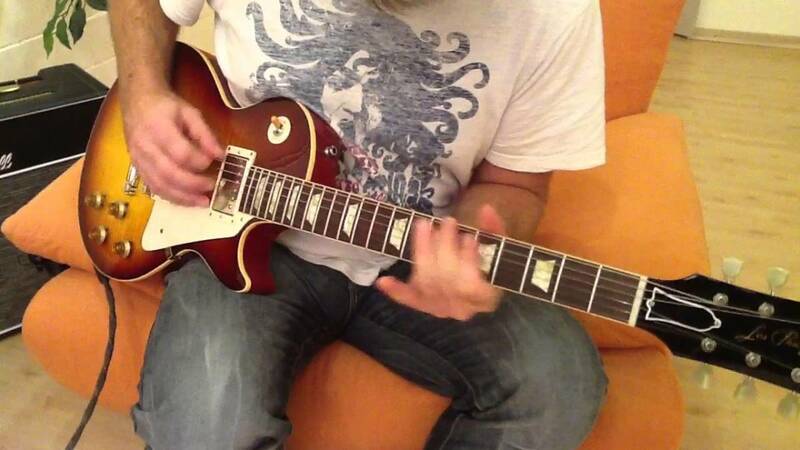 The looser strings while in tune on the Les Paul make string bending easier to do. Then there is the matter of de-tuning your guitar. With a longer length of scale one can more easily de-tune the guitar and still have the string tension enough to be playable. Tony Iommi and many another great guitarist regularly de-tuned their Gibson guitars, but nearly everyone admits that the strings being too loose can inhibit your playing. One last thing to consider about scale length is it influences what size strings one may be comfortable using. Fender scale length makes it easier to use thicker strings. Why would someone use thicker strings? They do influence the tone, as most all things on a guitar do. Stevie Ray Vaughan was a guy who used much thicker than normal strings on his Fender guitars. Most persons want to use strings as thin as possible, it's all really only ever about what feels and sounds best to you. The Les Paul Studio T offers the utility of coil taping. The Fender American Professional Telecaster Deluxe HH Shawbucker does not. Depending on only you, this could be the determining factor in your purchase. Look, quite a lot of the Les Paul models that sell for more than twice the Studio T's price do not offer coil taps. I'm not sure why that is so, but I'm sure that it is so. There is no doubt coil taping provides some very real, very usable tonal diversity. 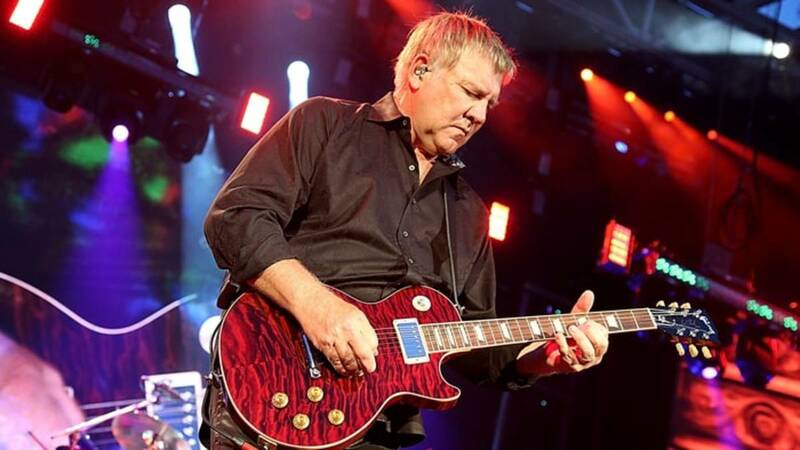 What a coil tap does is literally split a humbucker pickup into a single coil. The thing about it is, however, that the Les Paul scale length, the Les Paul mahogany body, neck, and maple top, these things prevent the split coil from ever sounding so twangy or bright as a single coil Fender will sound. This fine Fender, due to its scale length, its either ash or alder body, and its not having a maple top - it can never truly sound like a Gibson Les Paul. The Shawbucker pickups can get it close to there, but never quite there. The Gibson will always have more growl, the Fender will always have more twang. Possibly Fender didn't include coil taps for the HH Shawbucker Tele because they knew that were you to work the tone controls on your amps and guitar, there could be enough twang created to make the taps unneeded. You can't have made a mistake for purchasing either one of these guitars. You've got a Fender with the ability to do some growling like a Gibson, and you've got what is probably the single best deal in any Gibson Les Paul. With either guitar you'd have something to forever be proud of. These are two classics. These are both on the platform of American musical legends, and American manufacturing legends. At some point in time every guitarist who plays electric wants to own one or both, and of course, a Stratocaster too. I hope this has been useful.